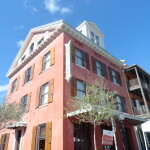 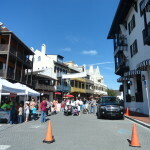 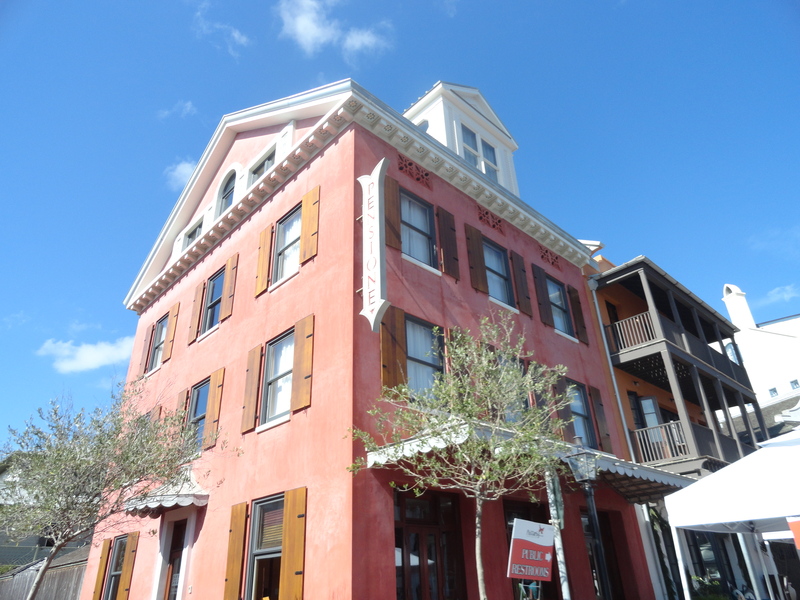 Rosemary’s town center is one of the most vibrant on hwy 30a. 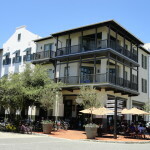 On the North side is the Rosemary Logo store, a book store, a surf shop, Wild Olives Restaurant, Summer Kitchen, an art gallery and a few clothing shops. 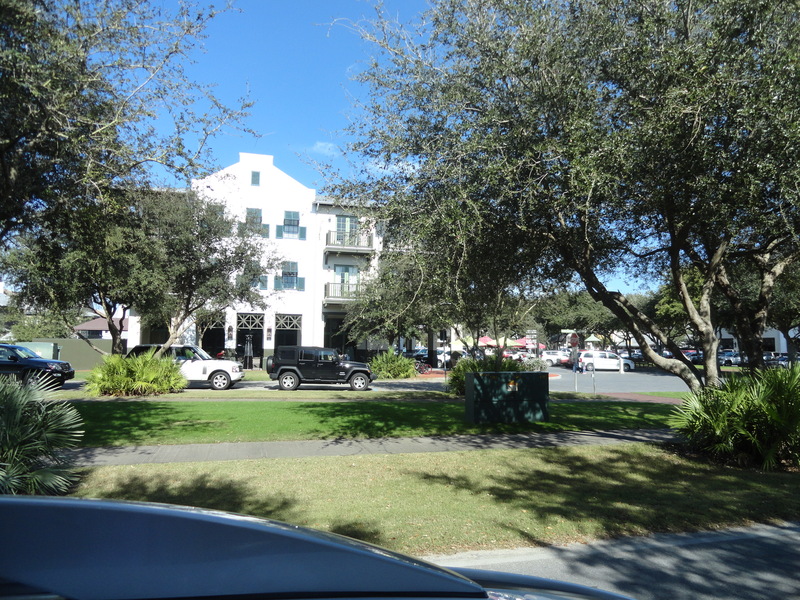 There are 3 manicured green spaces on the North side of town center, which are perfect for the art shows, car shows, festivals, farmers markets and more. 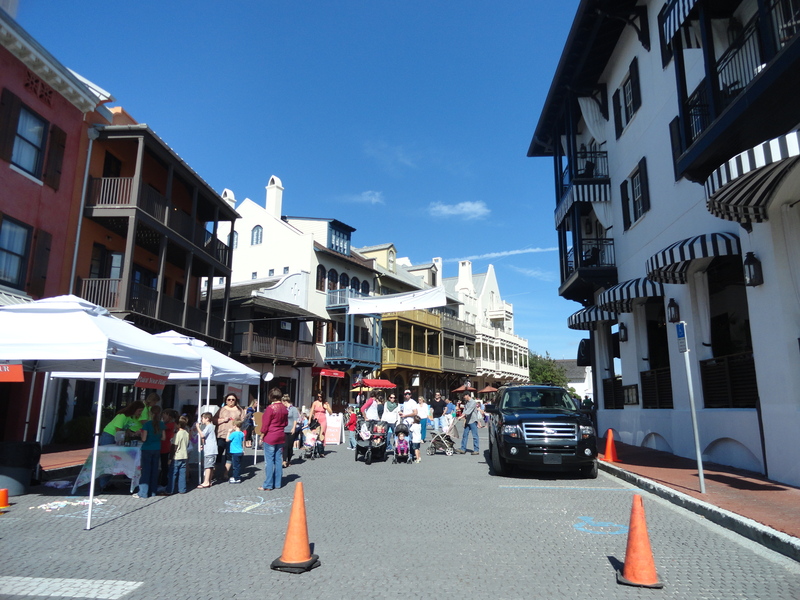 There aren’t many weekends throughout the year when something fun isn’t going on in Rosemary Beach. 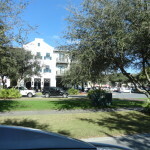 The South side of town center is loaded with restaurants like Edwards, Paradis, Aqua, Havana, candy shops, art galleries, furniture stores and 2 hotels.. 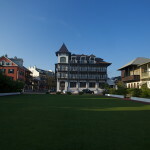 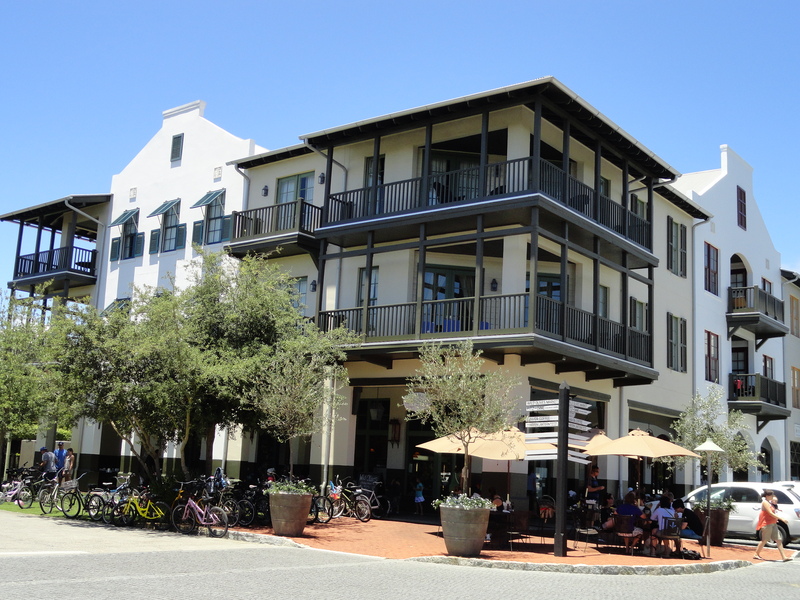 The latest edition to Rosemary Beach is “The Pearl”, a luxury hotel situated on one of the best locations in Rosemary Beach. 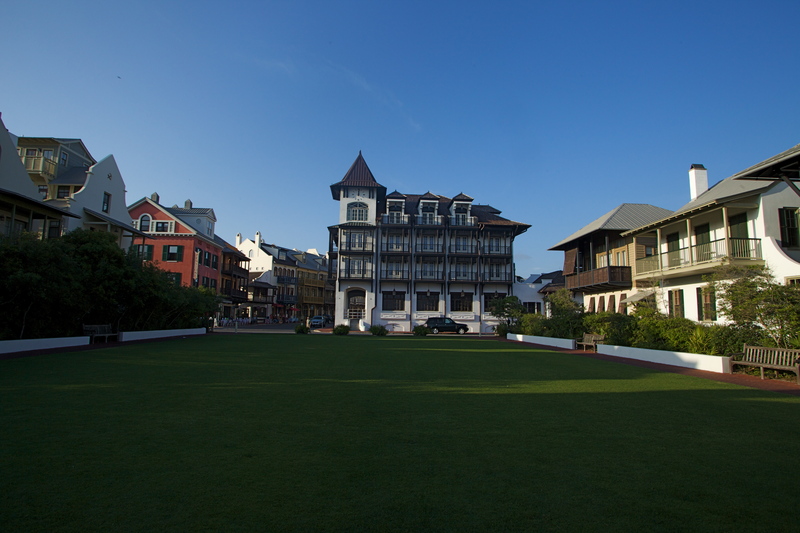 Just a few steps from the Pearl is the South Gulf Front Green inviting bikers and walkers alike to come and enjoy the beautiful beaches.